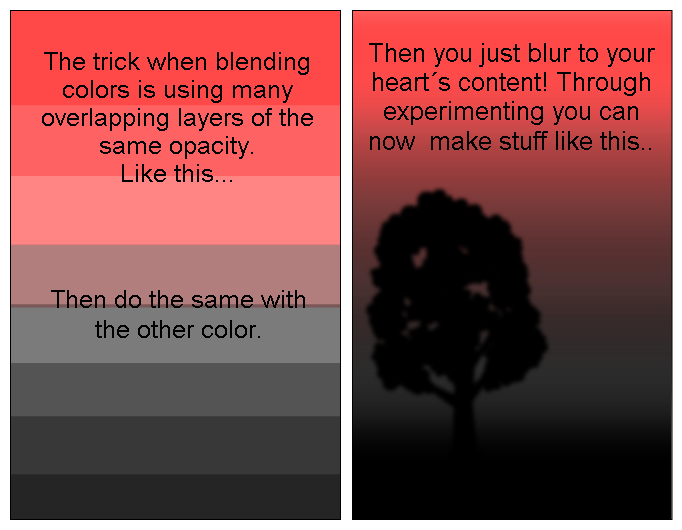 The trick when blending colors is using many overlapping layers of the same opacity. Then do the same with the other color. I didn't know that. But now i do. well explained and useful, THX! Istantly goes in my favourites.